Shop Appleton First on Small Business Saturday! Great shopping awaits you along with a chance to win great prizes! 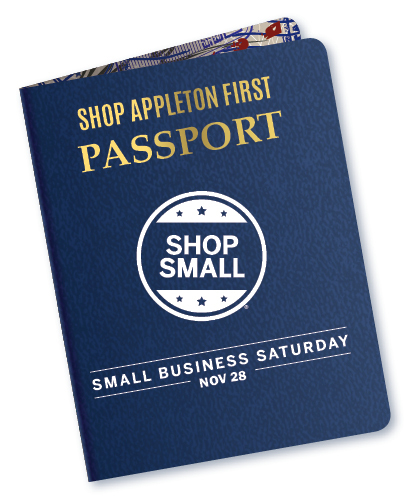 Take your Shop Appleton First Passport with you on Saturday to to 90 participating Appleton businesses and get your passport stamped at 5 different locations. When you have 5 stamps hand your passport in and you could be a lucky winner. Over $1000 in prizes will be awarded plus the Grand Prize of two tickets from Appleton Airport nonstop to Tampa/St Pete, Florida on Allegiant! Download your passport & more info here!